UPDATE: The latest polls show the race a statistical tie! Republican Congressman Devin Nunes, the chairman of the House Intelligence Committee, has become Donald Trump's #1 defender in Congress. Nunes created the fake memo to help Trump try to derail the Mueller investigation, and now, incredibly, Nunes is accusing Hillary Clinton of treason. No, Devin, there really isn't. Donald Trump, his son Don Jr., and their campaign colluded with the Russians, and you're trying to protect them over the interests of our own country. Enough is enough. The GOP has lost its collective mind. It’s no longer a political party, it’s a criminal conspiracy. Devin Nunes has turned his back on the American people, all in the defense of the most corrupt president in American history. 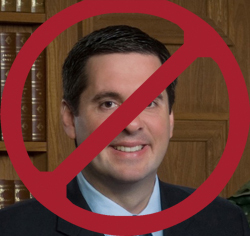 It's time for Nunes to leave the building. 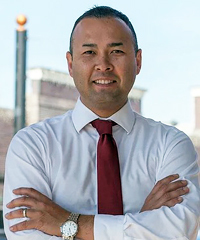 That why we're supporting Andrew Janz to unset Nunes this fall. He is pro-choice, pro-immigration, pro-healthcare, pro-Dreamers and pro-DACA, pro- gun control and pro-education. This is not going to be an easy race to win, but if there's a true Democratic wave in the fall, we can win this one. Let's do it.